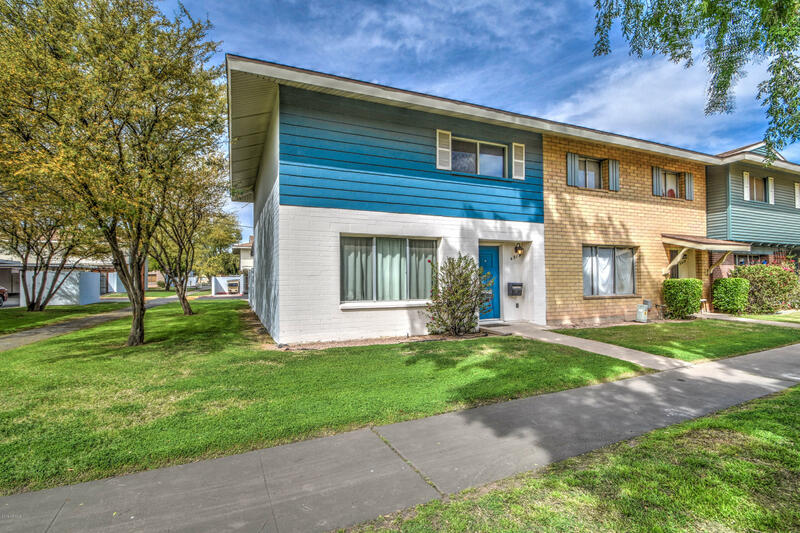 All PHOENIX TOWNHOUSE CONDOMI homes currently listed for sale in Phoenix as of 04/20/2019 are shown below. You can change the search criteria at any time by pressing the 'Change Search' button below. "Come get the townhouse of your dreams! This beauty is in the location you've been waiting for with just the right updates. Spacious 3 bedrooms and 1.5 baths, stainless steel appliances and kitchen island. Don't forget to check out the 2 car carport and cozy back yard with covered patio and storage shed. This is a gem and it won't stay on the market long for sure...so you better hurry. Thanks for stopping by." "*Price reduced to compensate for need of new carpet and paint* Welcome to affordable Central Phoenix living. This 2 bedroom 1.5 bath home is located in a mature, well-kept landscaped community. Eat in kitchen with breakfast bar and pantry. Living area and half bath on lower level with 2 large bedrooms and full bath upstairs. Private covered patio with storage shed and two reserved parking spaces directly off the back patio. All this and a community pool too."